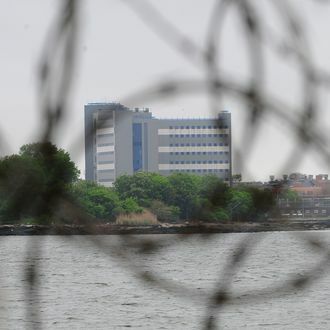 We’ve been hearing horror stories from Rikers Island for years, and on Monday New York City and federal officials announced they’ve reached a deal that should usher in serious reforms. In December the office of Preet Bharara, U.S. attorney for the Southern District of New York, joined a class-action lawsuit that stems from a former inmate’s complaint in 2011 about systemic violence in the jail. In a report issued last summer, Bharara said that for young inmates the prison “is a place where brute force is the first impulse rather than the last resort, a place where verbal insults are repaid with physical injuries, where beatings are routine, while accountability is rare.” As part of the settlement, which will soon be submitted for court approval, the city agreed to appoint an independent monitor to oversee Rikers Island, install thousands of surveillance cameras, and “make best efforts” to relocate inmates under 18. New restrictions will be placed on correction officers, including a revised policy curtailing the use of force against inmates, “robust requirements” for reporting when force is used, “improved staff recruitment and selection,” and a new “early warning” program intended to root out guards who break the rules, according to the New York Times. The deal also calls for the implementation of a one-year pilot program to test the use of body cameras on correction officers, among many other changes in how the prison operates.